Cheryl Fernandez-Versini has unleashed the music video for her new single. The British recording artist posted the visual clip for “Only Human” to her official Vevo channel on Wednesday (February 04, 2015). “Only Human” – written by Joanna “Jo” Perry along with Matt Schwartz and Cass Lowe – will be available for download from March 22 via iTunes (UK). Cheryl’s latest album “Only Human” – featuring further collaborations with Invisible Men, Nicola Roberts, Greg Kurstin, Camille Purcell, Lucas Secon, Sia, Red Triangle and Mozella – is out now via Polydor Records. Watch the music video for “Only Human” below. Cheryl Fernandez-Versini has confirmed her new single. The British singer/songwriter dubbed “Only Human” as the third promotional cut from her latest album of the same name. “Only Human” – available for download from March 22 via Polydor Records – was written by Jo Perry (Stooshe, Union J), Matt Schwartz (Conor Maynard, Kylie Minogue) and Cass Lowe (Joel Compass, Shola Ama). The track follows previous single, the Bonnie McKee-assisted “I Don’t Care,” which debuted at number one on the UK Singles Chart. Cheryl’s latest album boasts further collaborations with Lucas Secon (Trey Songz, Jordin Sparks), Camille Purcell (MNEK, Ella Henderson), Greg Kurstin (Taylor Swift, Britney Spears) and Sia Furler (Rihanna, Katy Perry). Watch the music video for “Crazy Stupid Love” below. Cheryl Fernandez-Versini has released her fourth studio album online. “Only Human” – featuring hit singles “Crazy Stupid Love” and “I Don’t Care” – is now available for download via iTunes (UK) in partnership with Universal Music Group / Polydor Records. The highly-anticipated project serves as the follow-up to 2012’s “A Million Lights,” which peaked at number two on the UK Albums Chart. Among the producers backing Cheryl on “Only Human” are Wayne Wilkins, Red Triangle, The Invisible Men, Jesse Shatkin, Greg Kurstin, Lucas Secon, Cass Lowe, Babydaddy, Matt Schwartz, DaWood, Jocke Ahlund and Oligee. On the songwriting front, “Only Human” boasts contributions from Nicola Roberts, Camille Purcell, Sia, Katy Tiz, Heidi Rojas, Matt Morris, Bonnie McKee, Jo Perry, Mark Taylor, Liam Payne, Sam Preston and Alex James. Watch the music video for “I Don’t Care” below. Cheryl Fernandez-Versini has unleashed a new song online. The British singer/songwriter posted the audio clip for “Only Human” to her official Vevo page on Tuesday (October 7, 2014). The track was written by Joanna “Jo” Perry and Cass Lowe along with Matt Schwartz, whose resume includes works for Kylie Minogue [Parlophone Records], Ronan Keating [RCA Records] and Olly Murs [Epic Records]. Cheryl’s current single, the Bonnie McKee-penned “I Don’t Care,” will be available for download from November 2 via iTunes (UK). Previous cut, the Tinie Tempah-assisted / Wayne Wilkins-produced “Crazy Stupid Love,” debuted at number one on the UK Singles Chart. Her fourth studio collection “Only Human” is scheduled to hit stores and digital outlets on November 10 via Universal Music Group / Polydor Records. Listen to “Only Human” below. 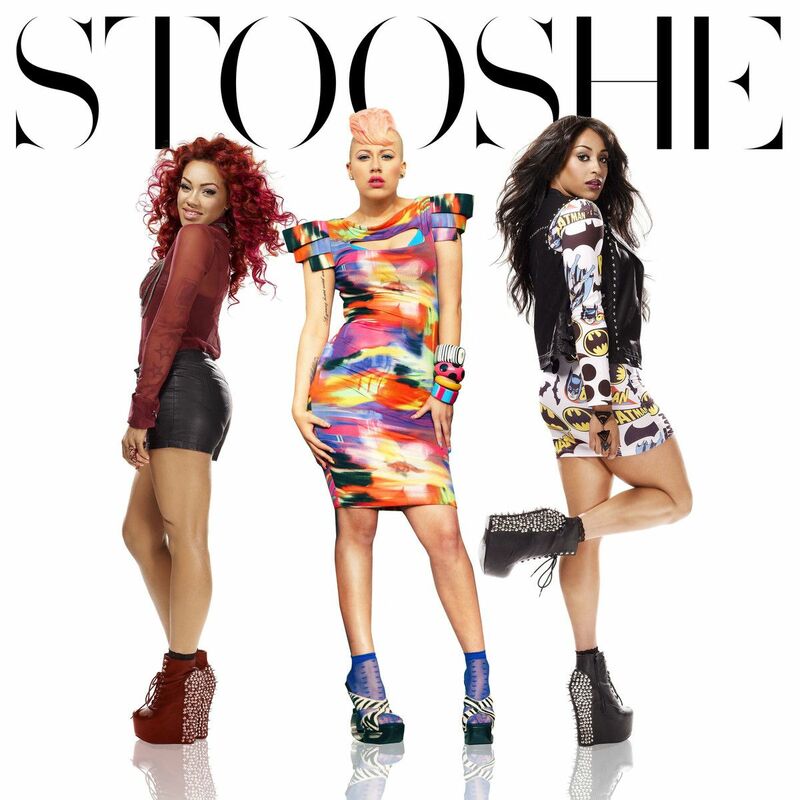 Stooshe have debuted a new lyric video online. “Hoochi Mumma” will be included on the British R&B group’s upcoming self-titled album, which will be released in the United Kingdom on March 2013 via Warner Music Group / Future Cut Recordings. The track was co-written by Stooshe’s manager Joanna “Jo” Perry along with Darren Lewis and Tunde Babalola of Future Cut, who are also responsible for “Army of Two” by Olly Murs [Sony Music Entertainment / Syco Music / Epic Records], “Age” by Lianne La Havas [Warner Music Group / Atlantic Records] and “Case Closed” by Little Mix [Simco Limited / Sony Music Entertainment]. Meanwhile, the new collection by Stooshe is confirmed to boast further collaborations with Chris Braide (Lana Del Rey, Sia Furler), Andrea Martin (Leona Lewis, Rebecca Ferguson), Lindy Robbins (Jason Derulo, Toni Braxton), Shaznay Lewis (All Saints, Mutya Keisha Siobhan), Ed Drewett (The Wanted, Dionne Bromfield) and Inara George (Jason Mraz, The Bird and The Bee). The track will be included on the British group’s upcoming self-titled debut album, scheduled for release in the United Kingdom on November 26 via Warner Music Group / Warner Bros. Records. “See Me Like This” – which serves as the B-side to current single “Waterfalls” – was written by Jo Perry, Andrea Martin, Jack McManus, Blair MacKichan, Darren Lewis and Tunde Babalola. Production credits were handled by Future Cut.